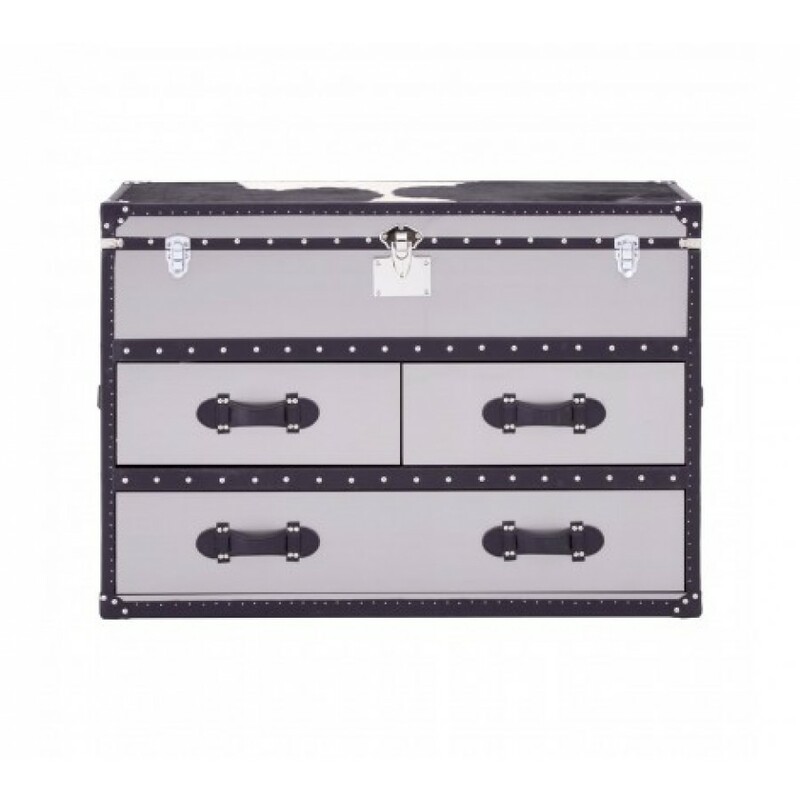 Function and style come together in this beautiful, three drawer storage chest. 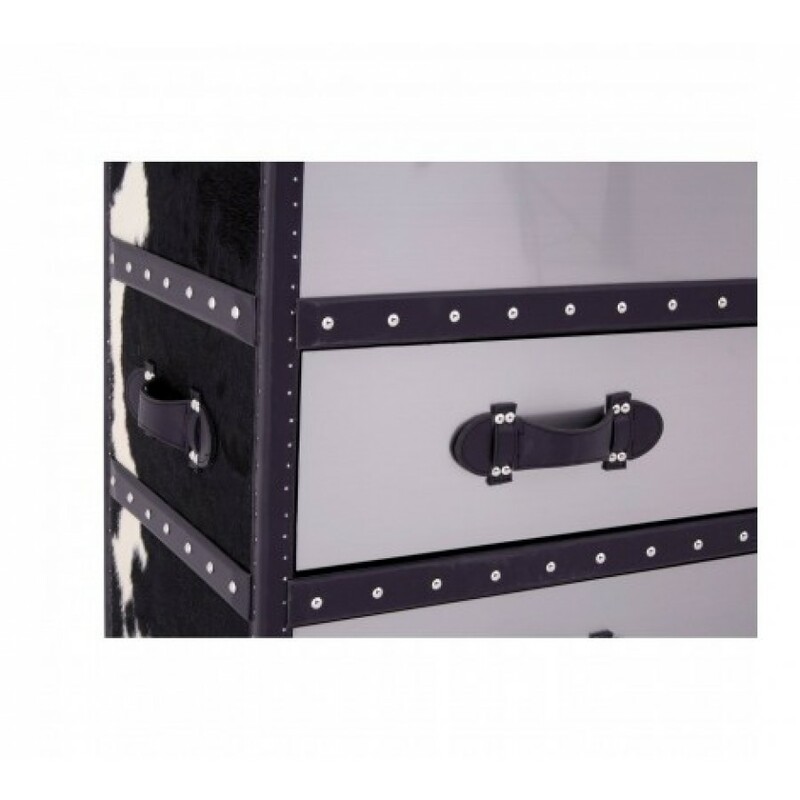 A pair of drawers sit above one single large drawer, each operated by a sturdy strap handle. 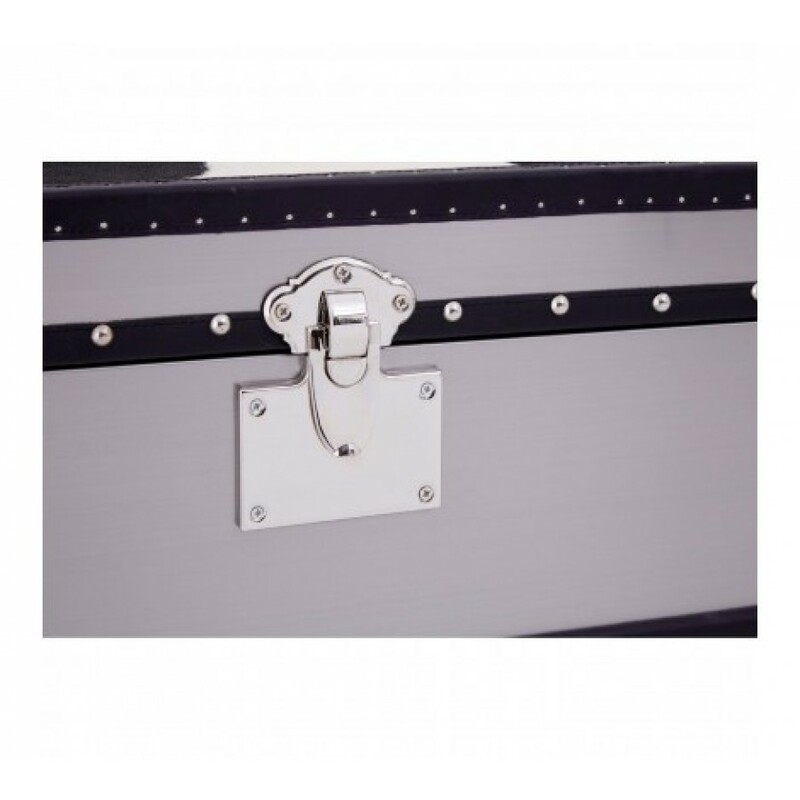 Three steel clasps at the top secure the lid of a trunk which is ideal for stowing larger items such as blankets. 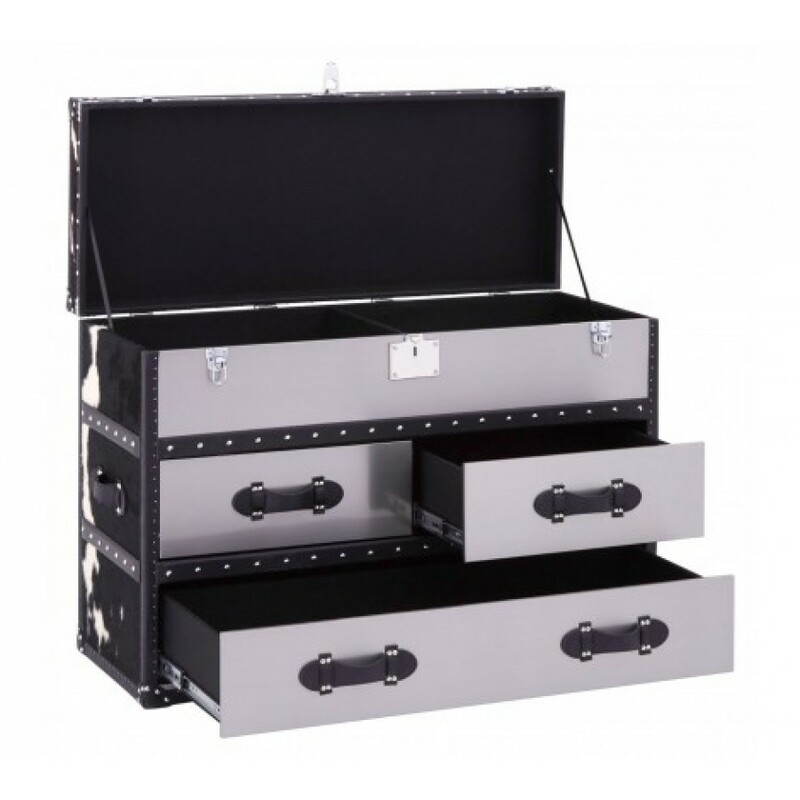 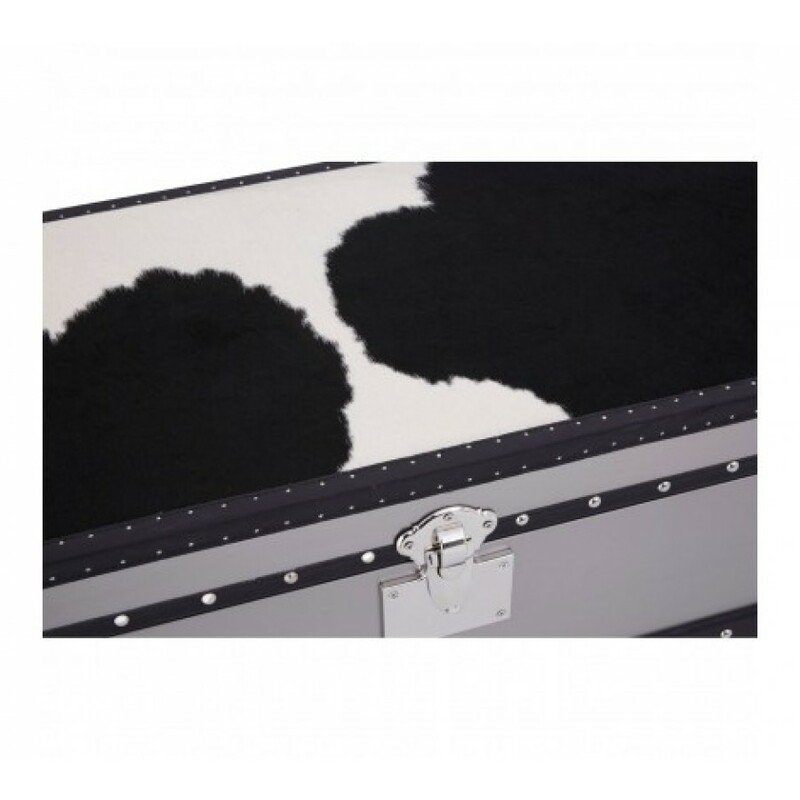 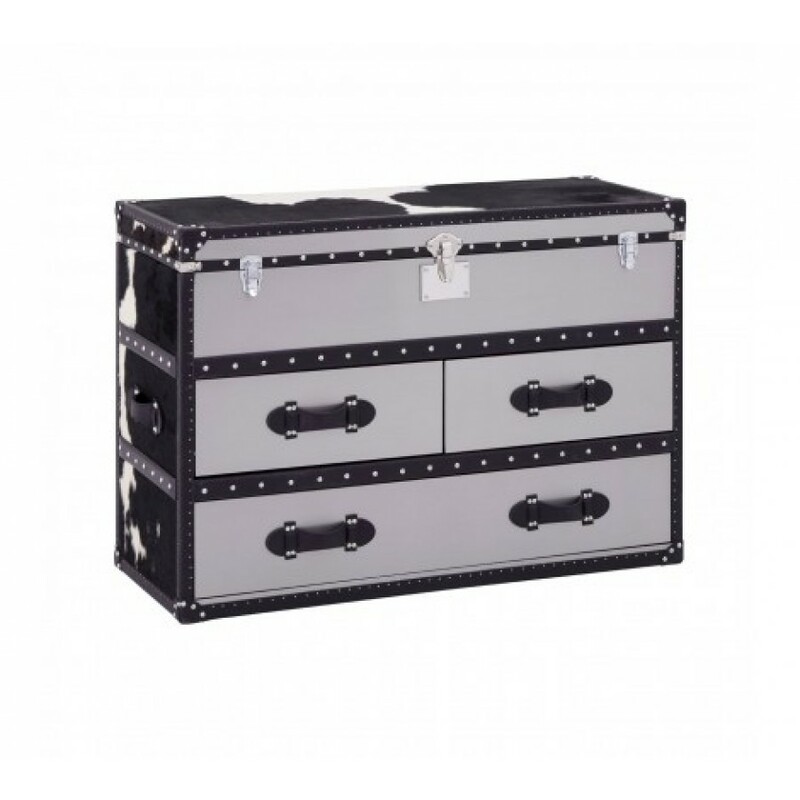 Plush black and white cowhide contrasts with the stainless steel stud detail that adorns the surface of this beautiful storage chest.